Matt's "real" job is an equity (investment) analyst at Eagle Asset Management in Stowe. Matt grew up in the Chicagoland area playing for a few local soccer clubs and then played for the University of Illinois Men's Club Soccer Team, which won two NCAA Club championships between 1987 and 1991. Matt has been coaching soccer for over 10 years. This is his 5th year of coaching at Nordic. 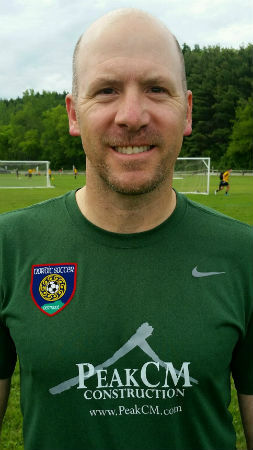 Matt moved to Vermont in 1995 and currently resides in Williston with his wife Karen and their 2 boys, Alexander and Zachary, who both play for Nordic. Outside of coaching/watching soccer, Matt loves to travel around the world, hike, ski, cook and play volleyball.